If you suffer from Chronic Fatigue, Sinus Infections, Fibromyalgia, Food Allergies, Auto Immune Disease, Acid Reflux, Candida, Depression – then this book is for you. Whether you are running from doctor to doctor in search of the “cause” of your unexplained illness, or simply desire to stay healthy by consuming a diet free of gluten, yeast, corn, wheat, peanuts, and refined sugar, this book will help you on your journey with vibrant whole food recipes. 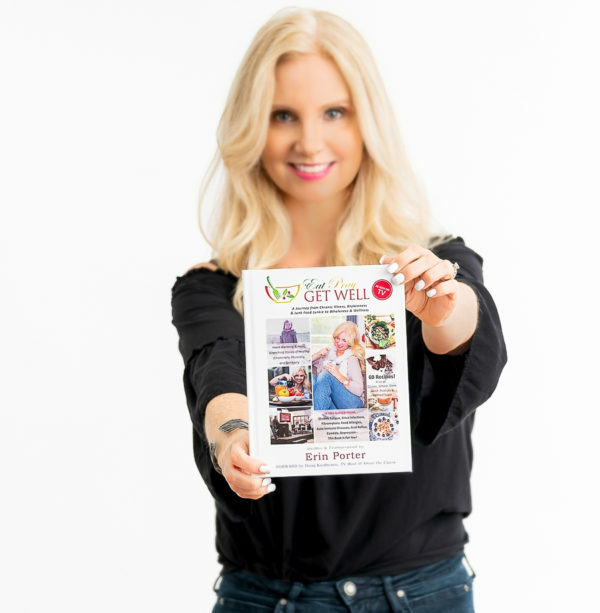 The Eat Pray Get Well book addresses more than just physical health. 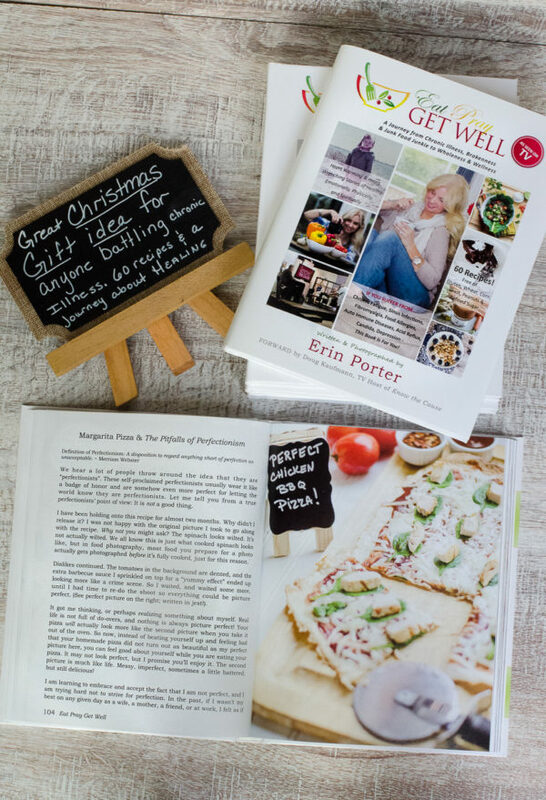 Erin invites you into her journey of recovering from a difficult childhood, to chronic illness in her adult years as well as recovering from being a junk food junkie. This is not your grandmother’s cook book. Be prepared to be entertained, inspired and most of all, gain the tools needed to help heal your body and soul. 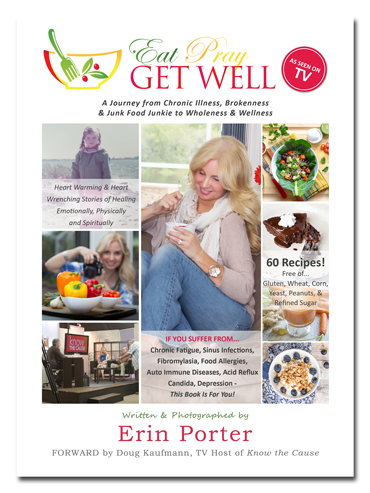 Erin has been featured on national television including PBS Health Journal and Know The Cause as well as many radio programs. 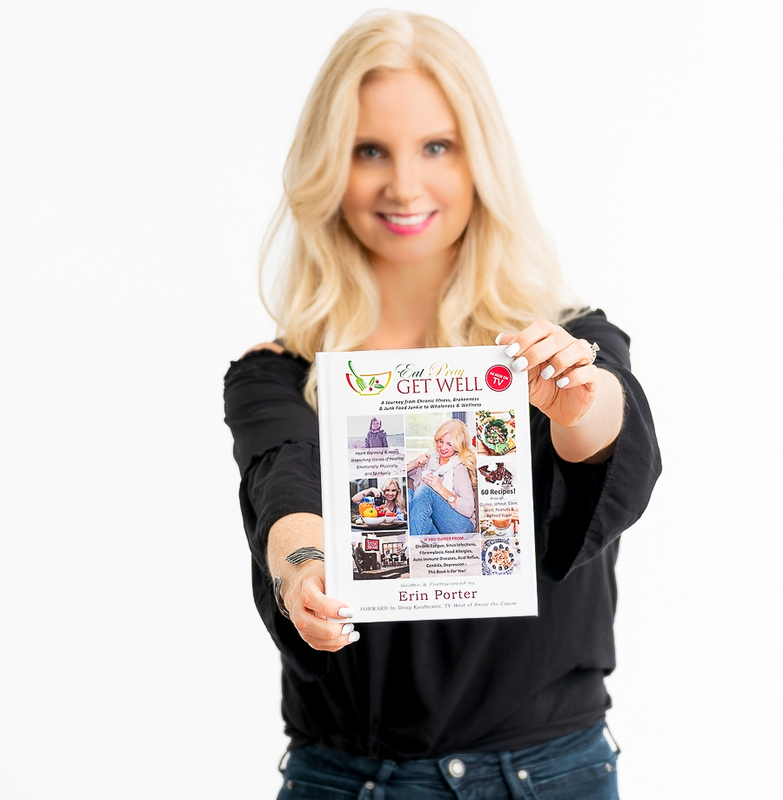 Her passion is to help people become their own best health advocate. Please note all sales are final. We do not accept return items unless the product was damaged or incorrect. In that case, please return damaged or incorrect item within 30 days of purchase and we will replace item . All items are non-refundable. If you have any questions, please email us at eatpraygetwell@gmail.com.